The University Program Council is excited to announce the UPC Art Crawl on Thursday, April 23rd from 12 p.m. to 3 p.m. UPC is inviting students from all disciplines to submit artwork to be showcased at the event. Some examples of work UPC is seeking include graphic design, sculpture, painting and drawing, and photography. The Art Crawl will be taking place across the UNT campus and will provide an excellent opportunity for students to market their work, network with the community, and win awards. Students interested in participating can complete the submission form here: https://orgsync.com/8397/forms/140042/submission by April 10th. You can reference the attached flyer for more information. 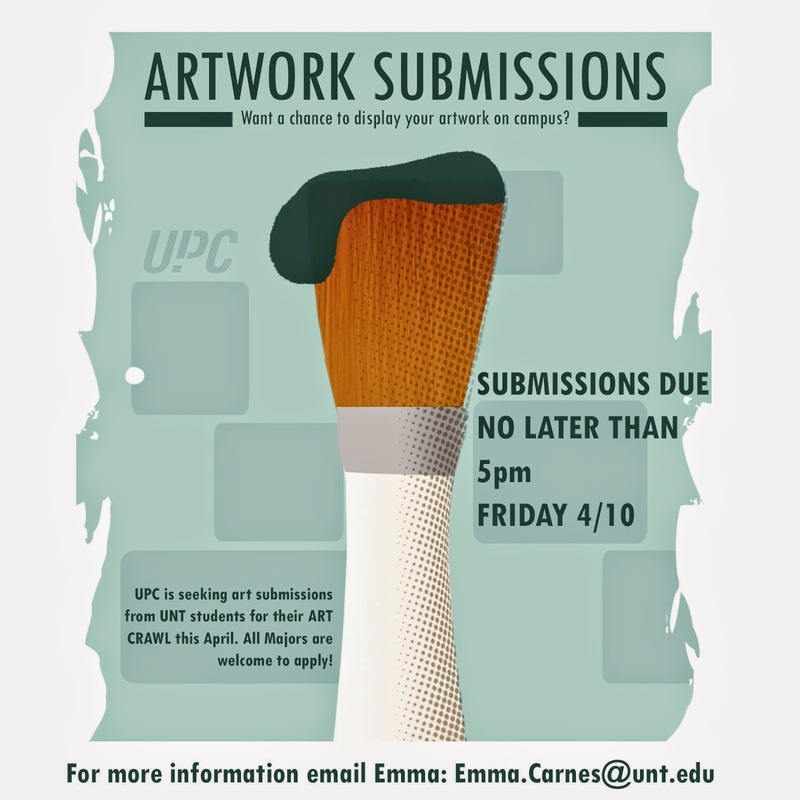 Please email the UPC visual arts coordinator, Emma Carnes, at emma.carnes@unt.edu with any questions or concerns.